Thank you so much for an excellent job! …..he worked on my house as if though it was his own. This is the guy to hire if you are looking for quality work at a more than fair price. His price was so low, I had to increase it myself after seeing the awesome job he did. He pressure washed my gutters, driveway, deck, house siding, retainer wall and the patio! Oh and he cleaned the gutters! He had things looking so clean, I didn’t want to walk or drive on the driveway!! Great work. House and driveway look new! looks very good.I would recommend and use Mjr again. Great job!He arrived early and did a wonderful job. 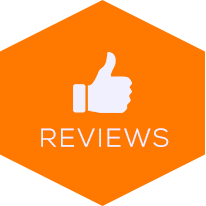 Excellent service,when Mjr was unable to make it due to inclement weather .Mjr was extremely detailed and went above my expectations.Yes I highly recommend this company and will be using them again. Mickey was very professional.He did an outstanding job power washing my grandmothers house. Mjr pressure washed the back of my house and did an outstanding job.The outside of my gutters were also cleaned.I will definently use them again and refer all my friends and family! Mickey is very professional ,reliable,has a strong customer focus and is one of the most thorough professionals with whom I have ever worked.His attention to detail is second to none.He gave more explanation than other professionals in supplying the initial estimate,answered all of my questions patiently,and gave good recommendations throughout the job.He provided me with regular status updates to inform me of progress.He took his time doing the work right (more days than his original estimate ),but was partly due to shorter days in January.He treated my deck as if it were his own and I would gladly hire him again for my next project. All the reveiws about quality work were true.I received several estimates,but Mjr was the best price,Mjr pressure washed my driveway,sidewalk,for less than others and he also did the curb and mailbox.He did an excellent job and I wondered about the offer for the mailbox but the effect was wonderful. The service that Mjr provided was excellent.I will be contracting Mjr pressure washing in the future. Great service!Quick and easy to work with.Worked with me on my budget and was willing to work around my busy schedule.Deck was power washed and stained and it looks amazing! Everything was excellent from the first meeting to the initial estimate to the finished product.I would highly recommend Mickey.